Chantel Barlow knew her grandfather as a loving, religieuse, and sober man. 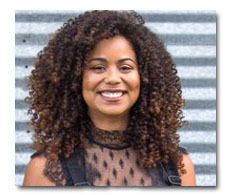 À l'âge de 16, she learned that her grandmother, Maybleine Nelson Barlow, was shot to death by her grandfather in 1975 in Compton, California in front of her father. Maybleine died at age 36, leaving seven children motherless. Her grandfather never served time for this crime. 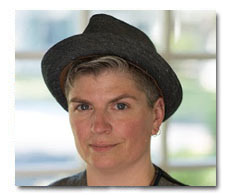 Chantal began her Unconventional Apology Project for women of domestic violence to allow these survivors freedom from their past violations by sharing their experiences and emotions so that they can live healthier lives. 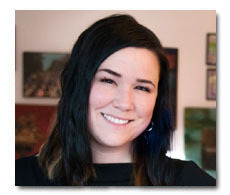 Chantal’s unique approach has been recognized by USC, UCLA, the City of Los Angeles, and various magazines. Integrity: Teaches and lives Haz lo Correcto (Do the Right Thing). En 2010, the mayor of Huarez adapted Jim’s “Haz lo Correcto” initiative and made it a city wide program. Health: Fights malnutrition and anemia with supplements and Albebdazole (an anti-parasite medication). Education: Provides a safe place for children and women to learn with clothing, shoes, school materials, books, games, and toys. Tools: Provides eco-friendly, hand-crank washing machines to relieve women of the labor intensive hand-washing in glacier formed rivers. À ce jour,, Jim’s foundation has helped over 3000 children. He has also authored the books A Gringo in Peru – A Story of Compassion in Action and Living Large; Living Deliberately. Heidi Vladyka, an occupational therapist at Mary Bridge Children’s Hospital in Washington, is the Director of Distributions of Push International – a non-profit organization whose mission is to provide mobility and facilitate sustainable development in the disabled community by giving wheelchairs to poor people. As Director of Distributions, Heidi stores and ships hundreds of pieces of mobility equipment (i.e. wheelchairs, walkers, canes, etc) to Mexico. Besides having a full time job and assisting various teams within Push International, Heidi frequently travels to a children’s therapy center in Mazatlan, Mexico. Using neurodevelopment therapy techniques and medical equipment, Heidi helps families of children with cerebral palsy, autism, down syndrome, and visual/auditory impairments. She provides occupational therapy evaluations, assessments, et d'intervention pour aider ces enfants à développer leur développement cognitif, vision, et habiletés motrices. 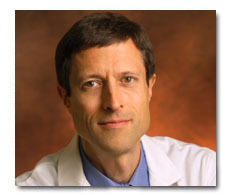 Neal D. Barnard, MARYLAND., F.A.C.C., est professeur agrégé adjoint de médecine à l'École de médecine de l'Université George Washington et le président et fondateur du Comité des médecins pour une médecine responsable (PCRM). Fondé en 1985, ce non-profit, recherche, et l'organisation de défense combine l'influence et de l'expertise de plus de 12,000 les médecins avec les actions spécifiques de 150,000 membres à travers les Etats-Unis et dans le monde. Ses principales activités comprennent la nutrition mettant l'accent sur l'éducation médicale; mener des recherches sur une alimentation saine; éduquer les gens sur la nutrition; décalant la recherche d'animaux « modèles » plus efficace, études pertinentes humaine; et la promotion des alternatives aux tests chimiques sur les animaux. Comme son fondateur et directeur médical, Dr. Barnard opened the Barnard Medical Center (BMC) in January 2016. Its physicians, nurse practitioners, and dietitians help patients combat chronic disease with proper life-style, including a plant-based diet, and preventive medicines. Dr. Barnard’s online and telephone application, the 21-Day Vegan Kickstart, has help over half a million people transition their lives to a plant-based life-style. A couple of Dr. Barnard’s achievements include: Tyson withdrew its advertisements encouraging consumers to eat chicken for a healthy heart, and Burger King had to alert its consumers that its chicken products contained PhIP. 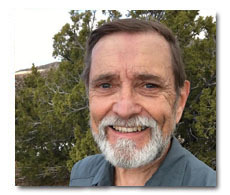 Dr. Barnard hosted three television programs, author over seventy (70) scientific publications, and wrote eighteen (18) books advocating better health and nutrition. Nogol Pedram created the Mind the Children Foundation qui aide les enfants défavorisés, sur une base individuelle, dans les régions à faible revenu de la Californie du Sud avec de la nourriture, soutien affectif, confiance en soi, et des conseils personnels. Nogol a fourni bien-être individuel à plus de 10,000 les enfants de 340 écoles à faible revenu. Elle se rend actuellement les enfants de Skid Row et divers abris sur une base hebdomadaire et élargit leurs expériences de vie en les prenant des excursions (musées i.e., parcs, camping, etc). Nogal distribue « Cercle des certificats d'excellence », ou certificats alimentaires, pour aider les parents à nourrir leurs enfants. Nogol croit que quand quelqu'un prend le temps de prendre soin personnellement, nourrir, Conseil, et motiver les enfants défavorisés sur une seule sur une base individuelle, il crée un environnement plus sain et plus productif pour ces jeunes vies et leurs communautés. 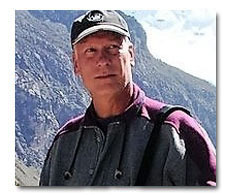 Tore Knos, Doctorat., has helped victims in the Bahamas, Malaysia, Philippines, and Southern Sudan. Working with the rotary organization Disaster Aid International, Dr. Knos meets with the local humanitarian groups to find effective logistics to organize, use, distribute, and/or determine what supplies are needed to overcome each disaster. Dr. Knos discovered that many of the people in these developing countries had major diseases because of poor sanitation and nutrition. With improper sanitation, bacteria spreads through the water and depletes the soil of all nutrients resulting in food shortages. Son livre, Urine Diverting Dehydrating Toilets, describes a safe and effective way of eliminating all pathogens from human excrement that can be used as an inexpensive fertilizer to help farmers grow crops. Heather Connell gives hope, faith, and happiness to the children and families who have extreme disabilities, birth defects, and/or injuries. Shortly after filming Small Voices: The Stories of Cambodia’s Children en 2001, Heather founded the Safe Haven Medical Outreach (SHMO), a non-profit educational and therapeutic program for disabled children in Siem Riep, Cambodia. SHMO provides intervention and support for children with disabilities and medical issues, allowing them the opportunity to access the educational, medical, and therapeutic resources they need in order to reach their full potential, lead healthy lives, and reach their highest level of personal independence. SHMO supports families to access other health services, including dental care, speech therapy, medical equipment, hospital services and surgical intervention, and helps them to navigate these services so they can better understand their children’s health conditions and make informed decisions about health and medical care. SHMO’s team provides physical and occupational therapies, rehabilitation, nutritional support, health assessments and education, and ongoing monitoring and support for children with severe disabilities, multiple diagnoses, and complex medical issues. 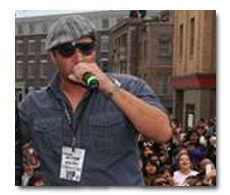 En 2002, Jarrod Taylor Foken, a Los Angeles Unified school teacher, created the Dance Masters Assembly to inspire and motivate students with leading break-dance and hip-hop professionals to offset the growing trend of students who had poor mental and physical health; a tendency for gang violence; selfishness and apathy; alcohol and drug abuse; and a high drop-out rate. The Dance Masters Assembly combines comedy, dance, and urban acrobatic entertainment with student and teacher participation. Through this entertainment and these positive role models, students are taught that they too can overcome their adversities and achieve their goals with hard-work and dedication. In the past ten (10) ans, Dance Masters Assembly has performed for over a million middle and high school students.